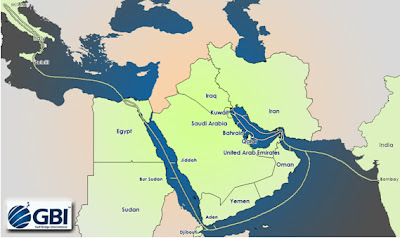 Gulf Bridge International (GBI), the Middle East’s first privately owned submarine cable operator signed the Gulf Bridge International supply and construction contract with Tyco Telecommunications, a business unit of Tyco Electronics and an industry pioneer in undersea communications technology. GBI network will connect its Gulf ring to the world through 2 international connectivity routes to the East to India & far east and to the West to Italy & Europe. Service will be ready by 2011. Tata Global Network (TGN) Gulf Undersea Cable Network is on the way and is expected to be completed by July, 2011. Due to the recently increased economic activity along with an increased demand in broadband and mobile connectivity, Tata hopes to build its presence with partners in the region. MARITECH is currently undertaking the turnkey, Sub Sea Pre-laid Shore End Cable Installation and Protection operations for TATA Gulf & GBI Cable System in the following landing sites: Fujairah, UAE; Ras An Nawf, Qatar; Mumbai, India; Al-Khobar, Saudi Arabia; Sumaysimah, Qatar; Qalhat, Oman for TE SubCom USA. 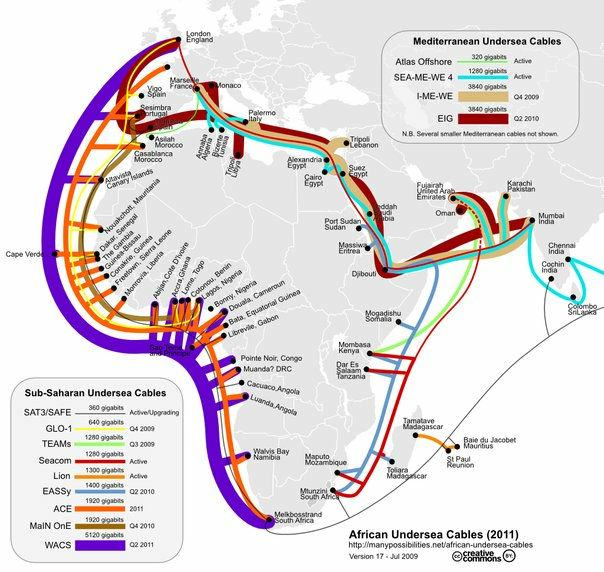 “The African continent is definitely one of the continents still yearning for affordable connectivity. Meeting the needs for increased capacity along the cable route, this network will enable the landing countries to be served by a new system offering greater capacity and lowering the cost of broadband access in support of innovative applications such as e-education and e-health that can positively impact peoples’ lives” said Kobus Stoeder, Chairman of the WACS Management Committee. MARITECH is currently undertaking the Shore End Cable Landing, Installation of Cable Protection Systems, Post Lay Inspection and Burial for WACS Cable System in 7 landing sites: Praia, Cape Verde Islands; Abidjan, Ivory Coast; Lome, Togo; Accra, Ghana; La Salineta, Canary Islands; Limbe, Cameroon; Lagos, Nigeria, for Alcatel-Lucent UK. Shore end cable landing, installation of cable protection systems, post lay inspection and burial, in 5 landing sites: Port Sudan, Sudan; Mombasa, Kenya; Mtunzini, South Africa; Toliary, Madagascar; Dares Salaam, Tanzania for Alcatel-Lucent UK.